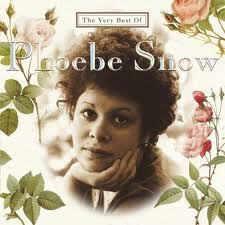 Sadly, the great singer Phoebe Snow died recently. Phoebe grew up in Teaneck, New Jersey and graduated from Teaneck High School. But that year also saw the birth of her daughter, who was born with severe brain damage. Phoebe elected to stay home with her daughter, thus slowing the progress of her career. She did, however, sing on commercials, and sometimes make public appearances and sing with her friends, including Linda Ronstadt (my favorite singer). Wow! Two great singers! Thank God for YouTube! Here is a very touching interview with Phoebe on "CBS Sunday Morning" in which she talks about her daughter and her career. There is a charming story by a friend of Phoebe's on The Huffington Post. You can read it here. You will really be missed, Phoebe . . . Came by thru the blog hop and I am your newest follower thru GFC. While I was here I also followed on Facebook and Twitter. I would really love a follow back on all if you can but mostly on Facebook. I had a mishap that lost all my FB followers and now I have to start over again. Any help is deeply appreciated. Thanks and have a great weekend. Thanks for everything. I'll follow you back! Thanks for this tribute. I remember her performance with Linda on SNL. I never knew that about her daughter. That explains alot. I always wondered why she wasn't more famous with that awesomely cool voice of hers. I somehow missed her passing usually husband who reads The Times obits would have told me or I'd have seen on news. I loved Phoebe Snow too and also love Linda Ronstadt. Thank you for the videos!!! Thankfully she was able to work singing commercial jingles -- "celebrate the moments of your life"! In addition to her daughter's problems, she didn't like touring.